For wreck diving Scotland takes some beating, from the scuttled German Fleet and "blocking" ships of Scapa Flow to the Hispania and other wrecks of the Sound of Mull. 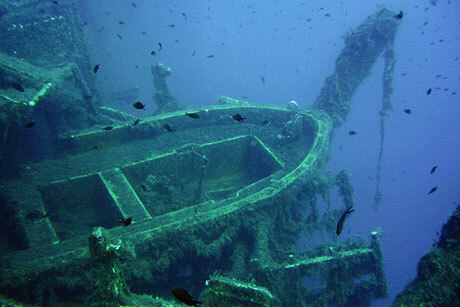 Further south, the Zenobia of Cyprus has been voted the best wreck dive in Europe. Highlights apart from wrecks? The caves of Ustica and Sardinia; the clear waters of Malta and Gozo; the sharks and pelagics of the Portuguese Azores which are around 1500 km west of mainland Europe or, for something completely different, the extreme diving of Norway. 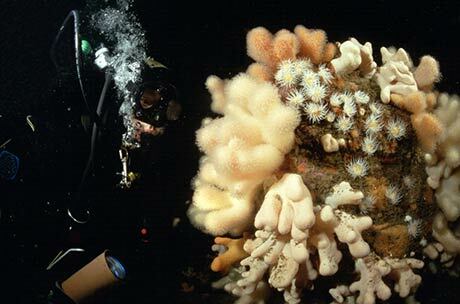 See other suggestions at the Top Ten Dives in Europe list. We've been asked where in Europe is the best place to learn to dive. Training around Britain, or Northern Europe, prepares you best - if you can dive here you can dive anywhere - but for a warmer learn-to-dive holiday try Greece, Malta or Turkey. Don't forget some specialist diving travel insurance. 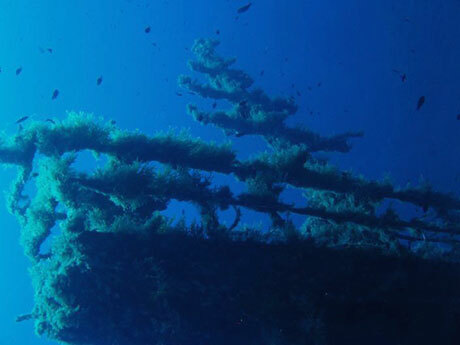 Wreck on the Secca della Columbara, Ustica. Photo credit: Andrew Reay-Robinson. We regularly add new areas and dive sites to the SCUBA Travel site. If you want to read about new dives, along with other SCUBA diving news and discussion, please subscribe to our newsletter: SCUBA News (ISSN 1476-8011).